USELESS EATERS dropped a 7″ for their tour with Ty Segall and White Fence at the beginning of the summer. The two new tracks on Addicted to the Blade come from the Tic Tac Totally label in Chicago. “Addicted to the Blade” is a filthy one, with wonky bass lines and frantic, sharp-edged guitar hooks that are pretty much right on point for Sutton’s odd strand of punk rock. He sounds bold yet murky against the urgent vibes, driving the song into strange oblivion with a strung-out finish. B-side “Starvation Blues” tightens up and keeps the rage flowing strong, exposing plenty of scuzz with high-voltage guitar licks and punchy percussion. There’s an overall crunchy and sloppy complexion which shouldn’t come as a surprise, but it all makes for a heated finale in the final minute with some bluesy guitar twangs. This pretty much seals up another quality 7″ from Sutton, but the good news is he didn’t stop there. More recently, Manimal Vinyl dropped this Black Night Ultraviolet 7″, which takes Useless Eaters to a new level. In other more recent Useless Eaters news, Sutton and Ty Segall joined up to record this track in Nashville back in May. It was released on a 7″ limited to 150 and only available on September 20th at the third Nashville’s Dead birthday party. 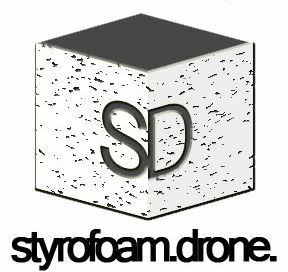 Posted on October 8, 2012 October 9, 2012 by styrofoamdronePosted in 7", ReviewsTagged Lo-Fi, pop, punk.